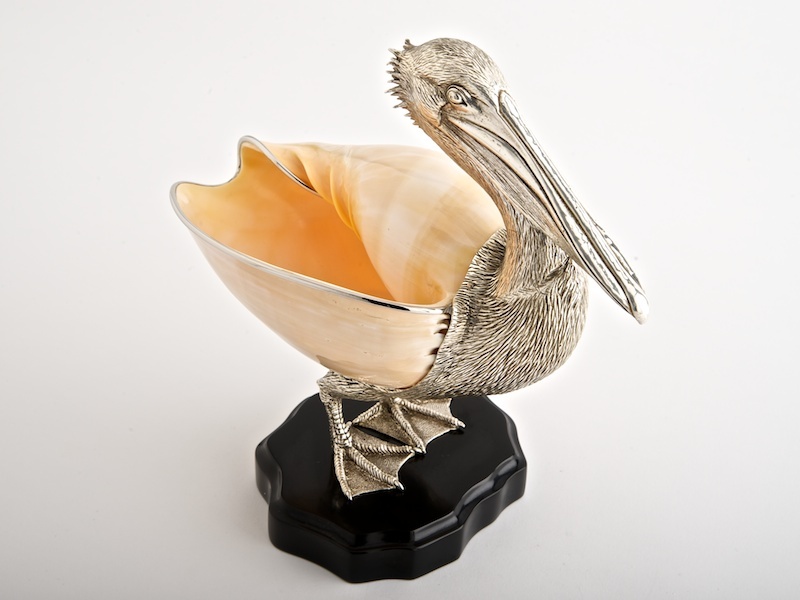 The pelican symbolises confidence and kindness with a generous spirit. 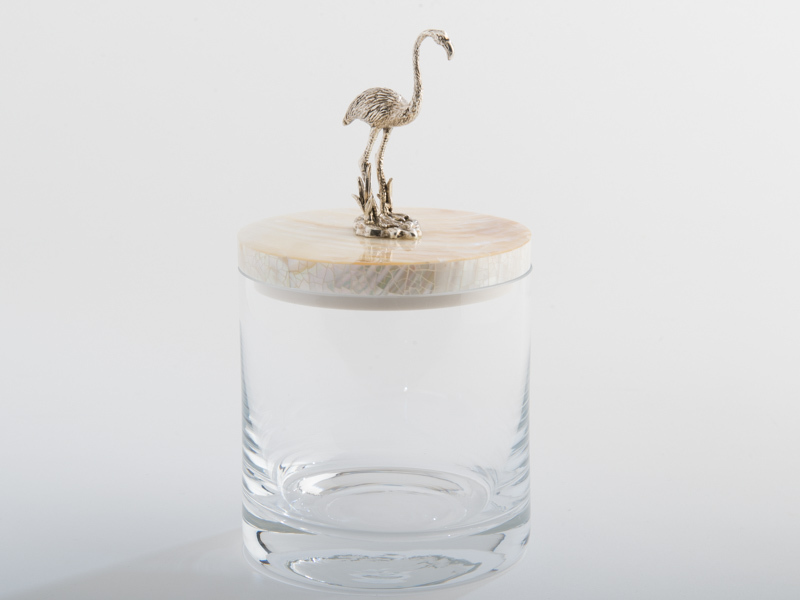 This beautiful handmade glass jar with cream kabibi shell lid, which is formed by creating a mosaic of shell and embellished with a brass sculpted silver plated pelican. Add a little touch of confidence to any interior. 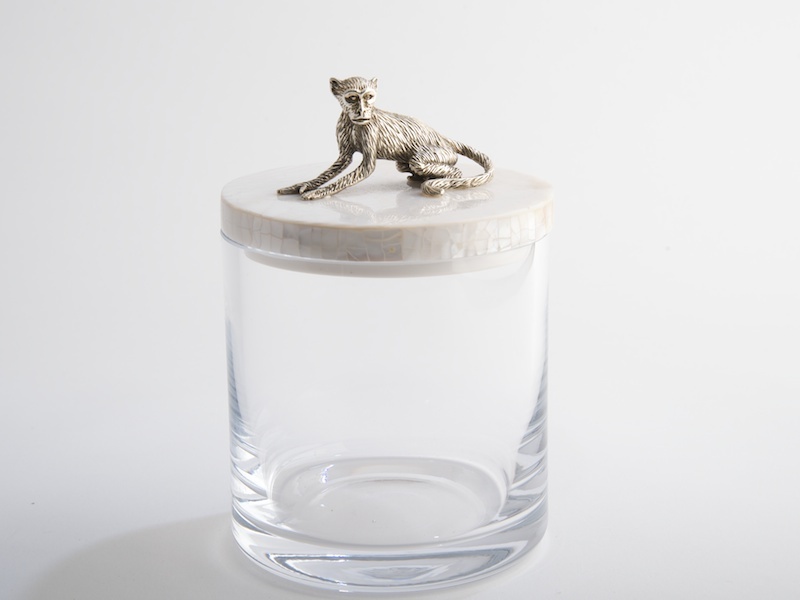 Ideally for bathrooms, dressing tables or as a treasured gift. 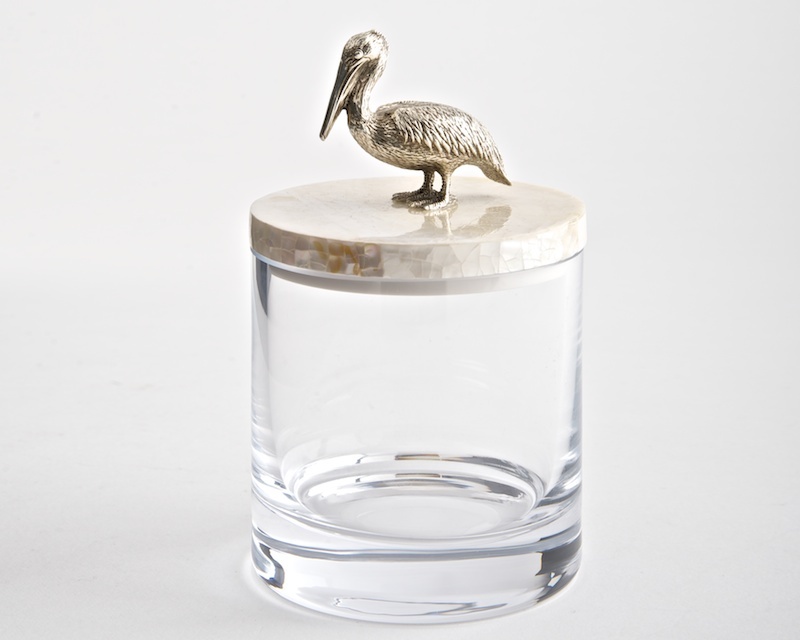 This beautiful handmade glass jar with cream kabibi shell lid, which is formed by creating a mosaic of shell and embellished with a brass sculpted silver plated pelican. 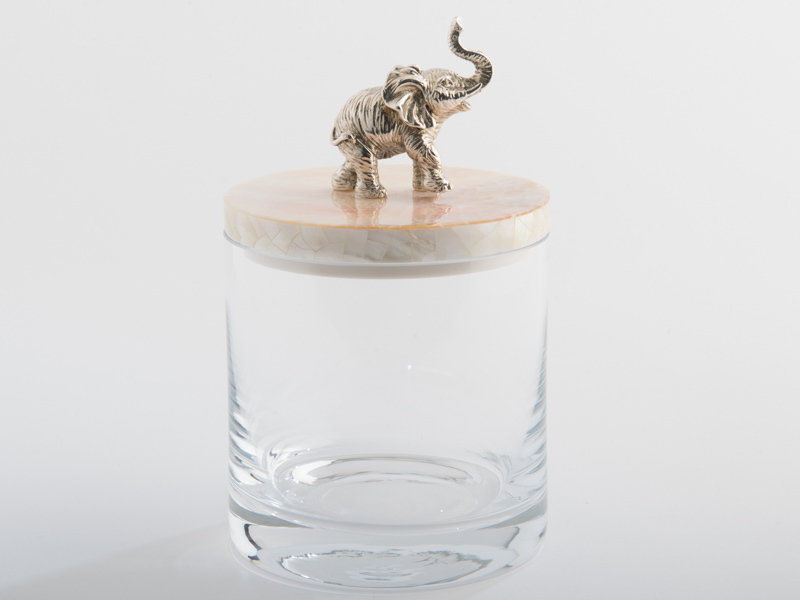 Add a little touch of confidence to any interior. 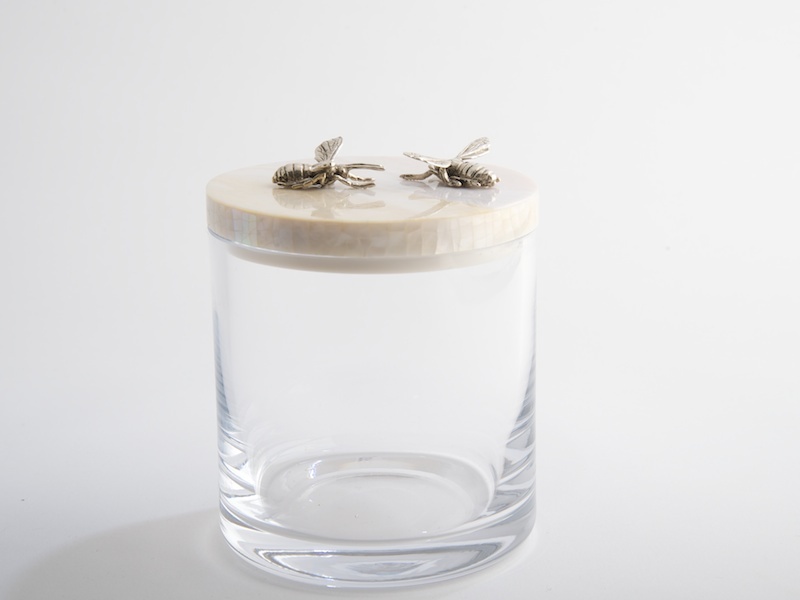 Ideally for bathrooms, dressing tables or as a treasured gift. 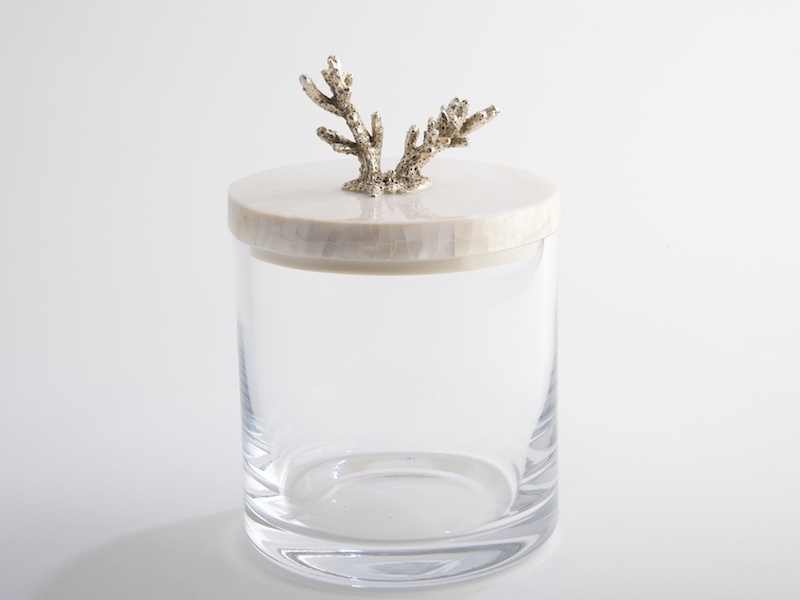 A fabulous individual piece or magnificent grouped with others on a tray.